Sonia already has two little kids, so when she finds herself unexpectedly pregnant with a third, she’s not thrilled. She had been looking forward to freedom from the tyranny of diapers, spit-up, and sleepless, sexless nights. Before becoming “a tired housewife with a bad haircut” she had been a talented and passionate painter, but now, she knows, she won’t be free to reclaim that life for another few exhausting years – if ever. She resigns herself, though, or so it seems, until a day comes when she can’t any longer. She walks out on her husband and children, dumps the carseats out of the family car, and drives away in search of the version of herself she left behind. 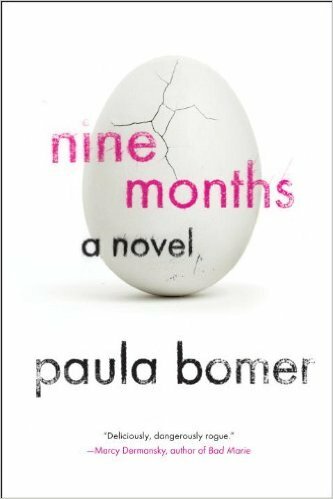 Paula Bomer’s writing is visceral, raw, and unpredictable. It extracts hard and weird truths about femaleness, motherhood, compromise and choice. Bomer refuses easy moralizing. Instead, she explores the hilarious absurdity of life in a culture that reveres motherhood while constantly undermining female agency and power. "Sonia hesitates. Could a two-year-old poison tea? Could she poison imaginary tea? Sonia takes her cup, but doesn't pretend to sip, just holds it in her lap."